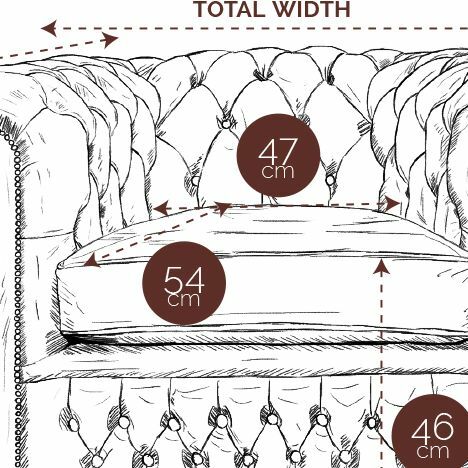 Antique Green Chesterfield Sofa | 1 seater sofa | S.W. James & Co. Perfect armchair for any size of room. Only available exclusively from S.W. James. Our No.1 Chesterfield sofa in green is a favourite of our customers and a standard in the Chesterfield world. We think it is a truly stunning piece of furniture and it certainly makes a statement in any room it lives in. 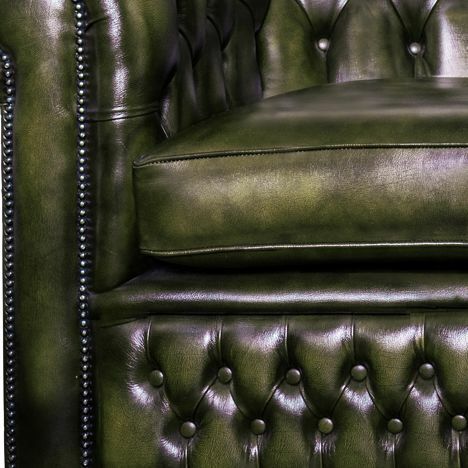 Our No.1 antique green Chesterfield sofa is still handmade by the team today, as it was originally. Covered in our green antique rub leather. Once finished a top coat of darker green dye is carefully polished in selected areas to expose the lighter shade beneath. The result achieved is a beautifully aged looking, green antique Chesterfield. Our beloved S.W. James Chesterfield No.1 is inspired by the traditional Chesterfield and is a piece of handmade British furniture that has become a worldwide style icon. Our antique leather offers a character and charm and is available in 4 antique leather colours.